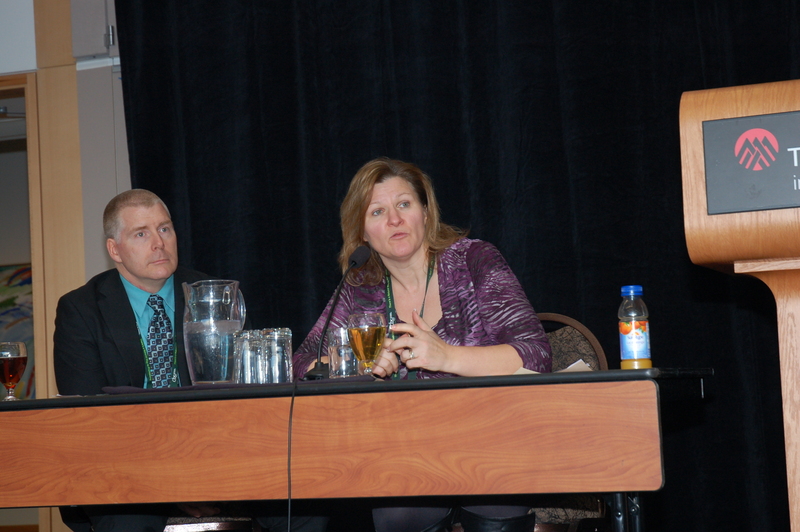 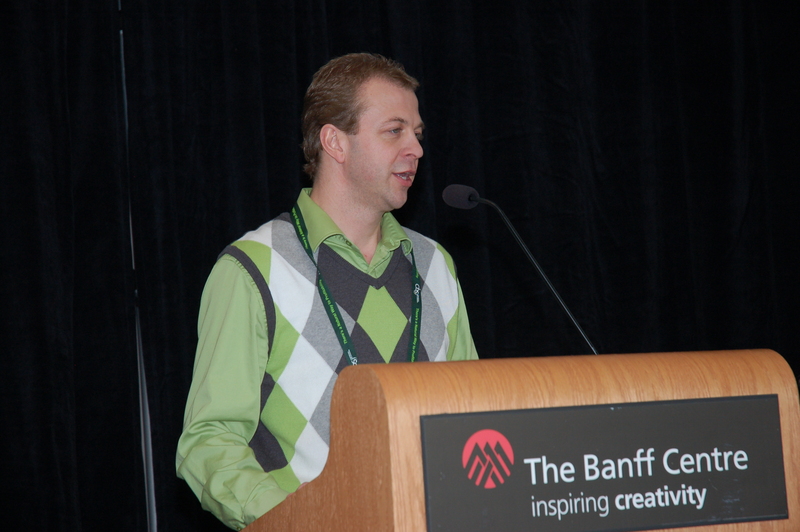 Photos of selected speakers will be available at this web location during and following the 2012 Seminar. 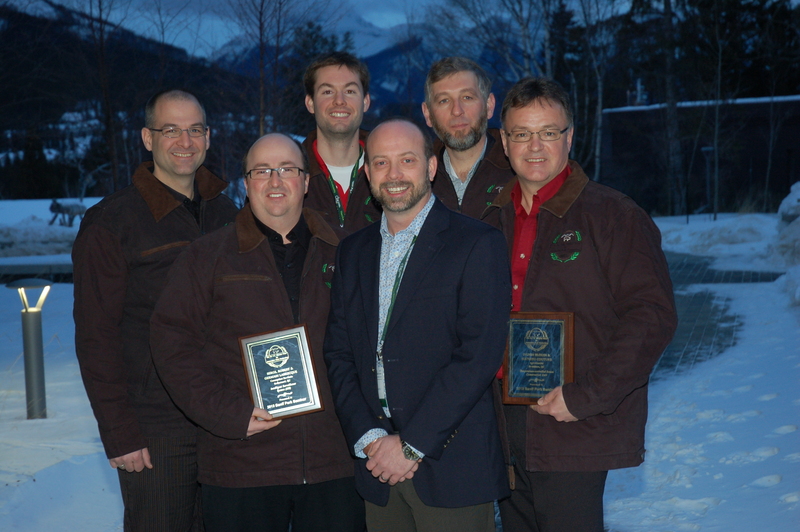 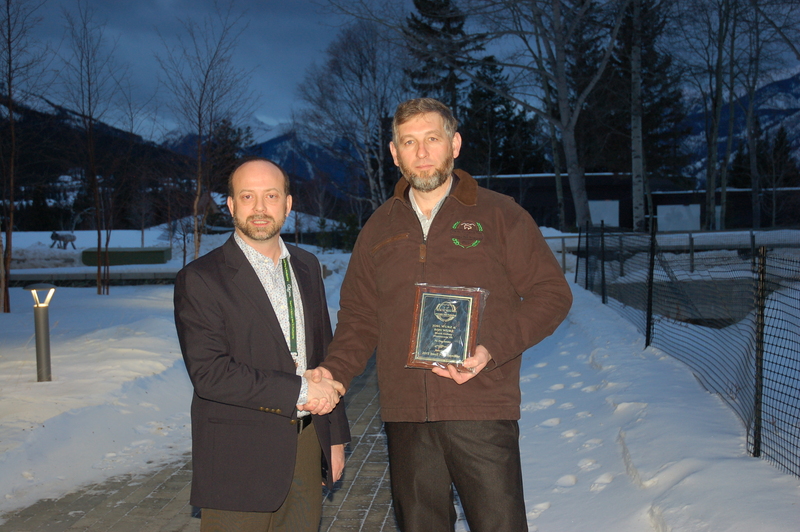 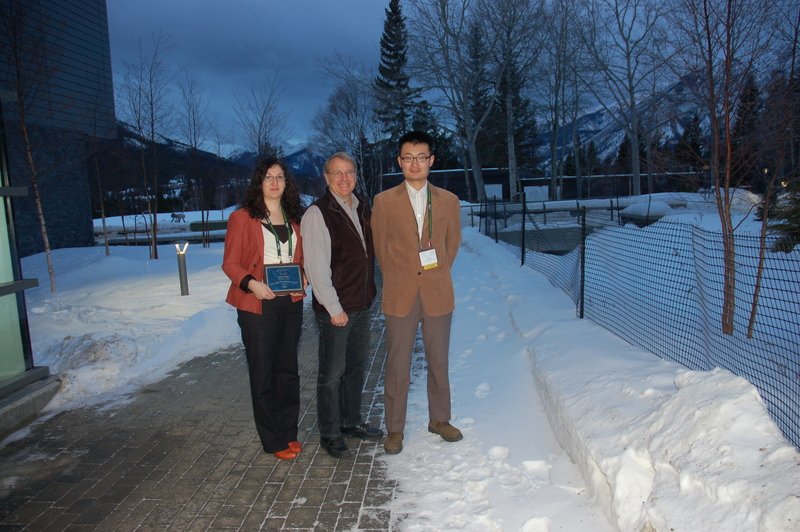 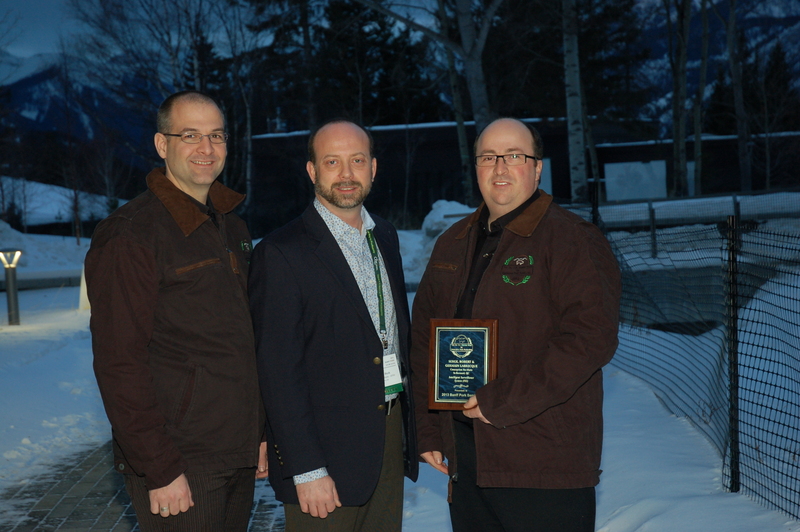 Aherne award for innovative pork production at the 2013 Banff pork Seminar include, left to right: Pascal Forest, and Serge Labrecque, of Conception Ro-Main Inc., St-Bernard, Que; Mathieu Couture of Agri-Marche Inc. St-Isidore Que. 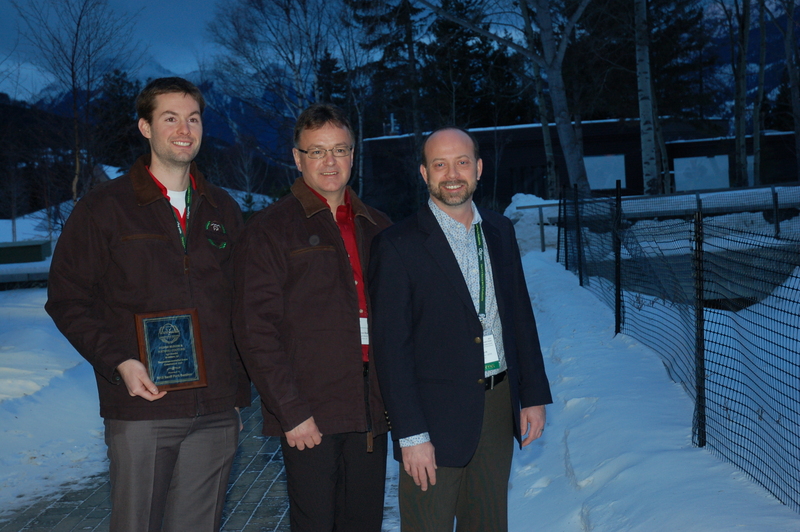 ; Dr. Michael Dyck F. X. Aherne Award committee chair; Joel Wurz of Bench Colony, Shaunavon, Sask. 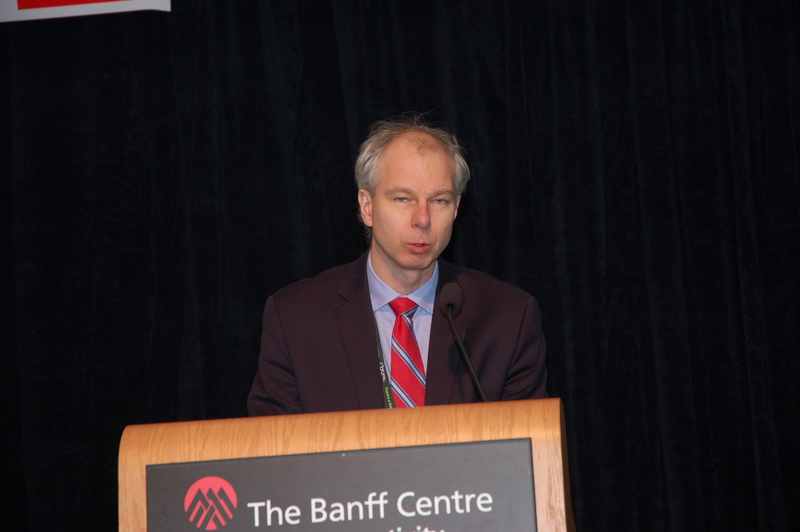 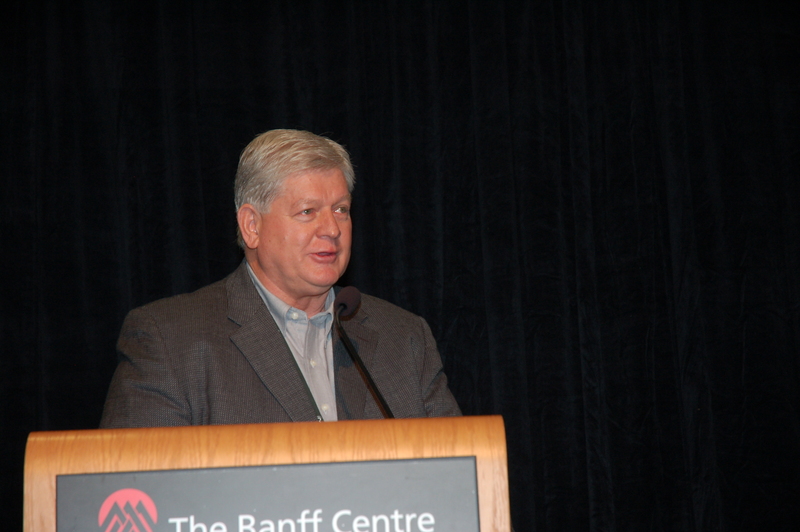 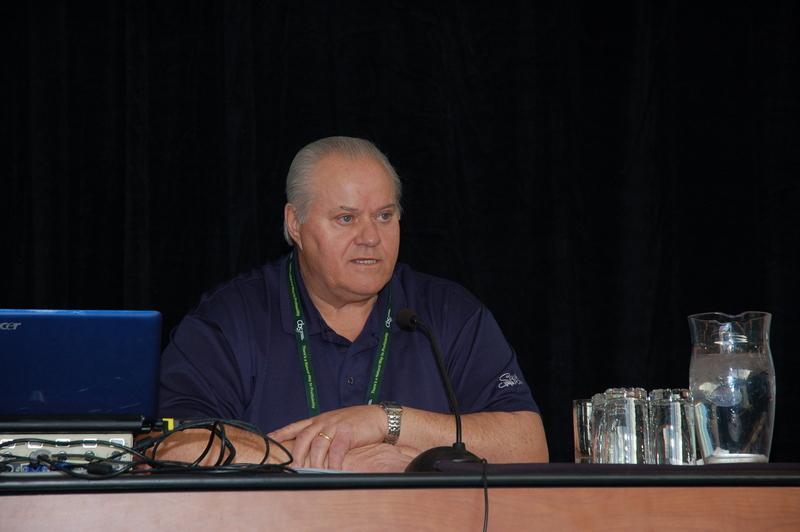 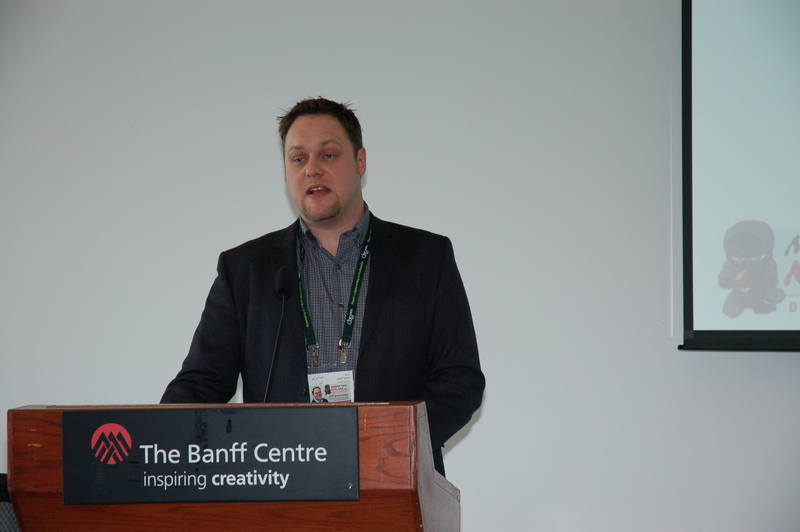 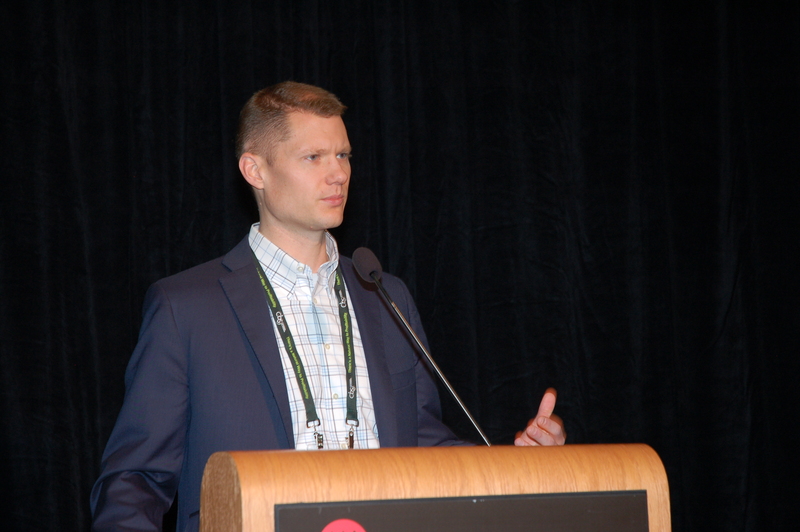 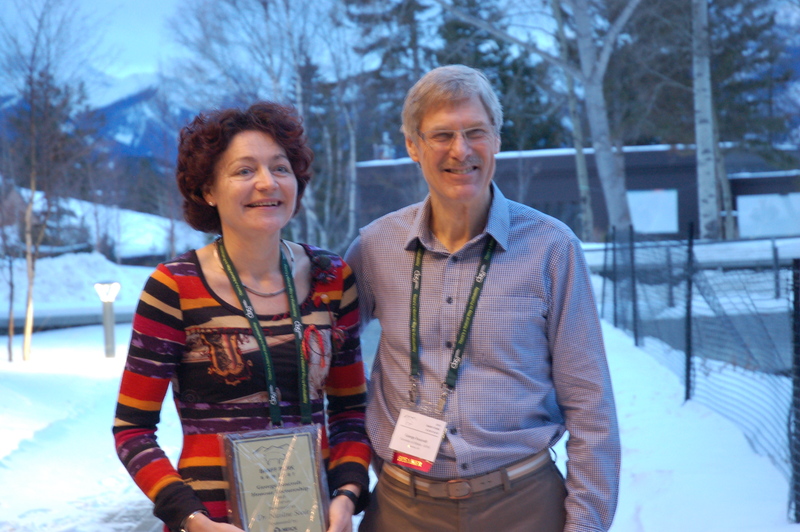 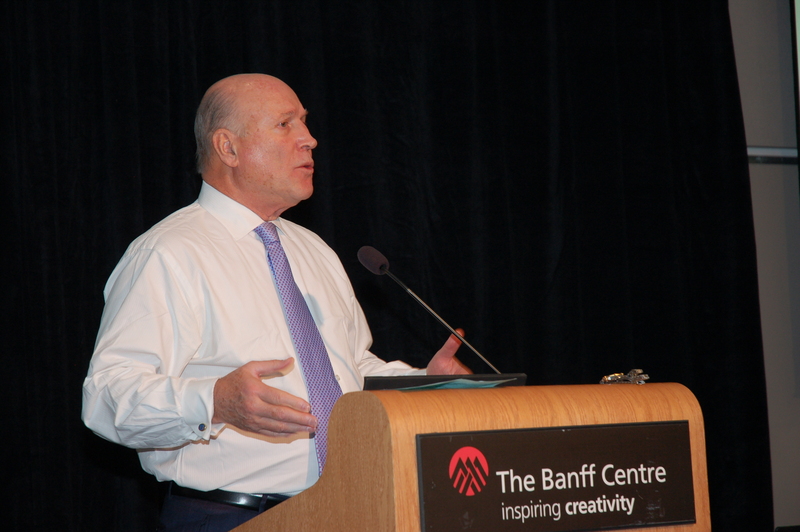 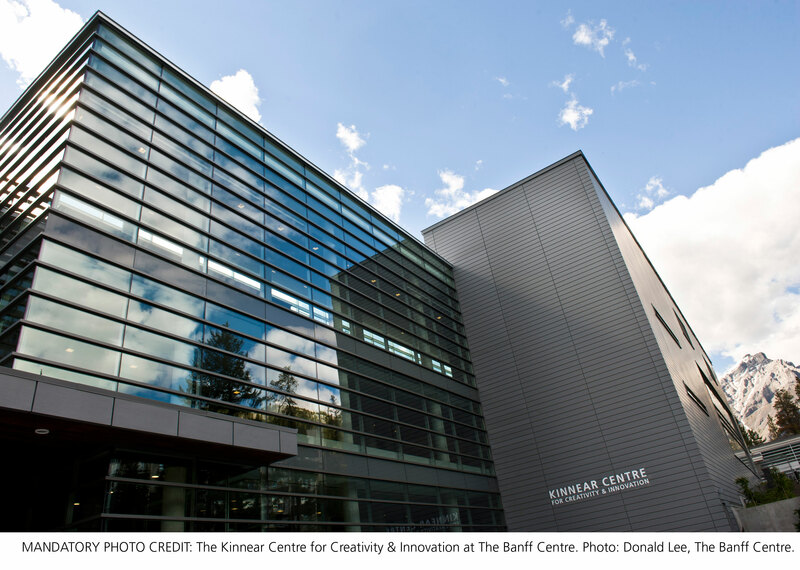 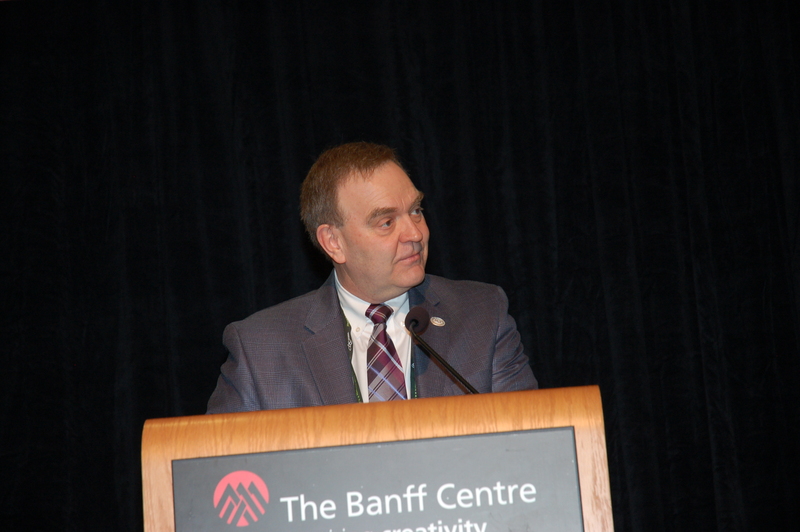 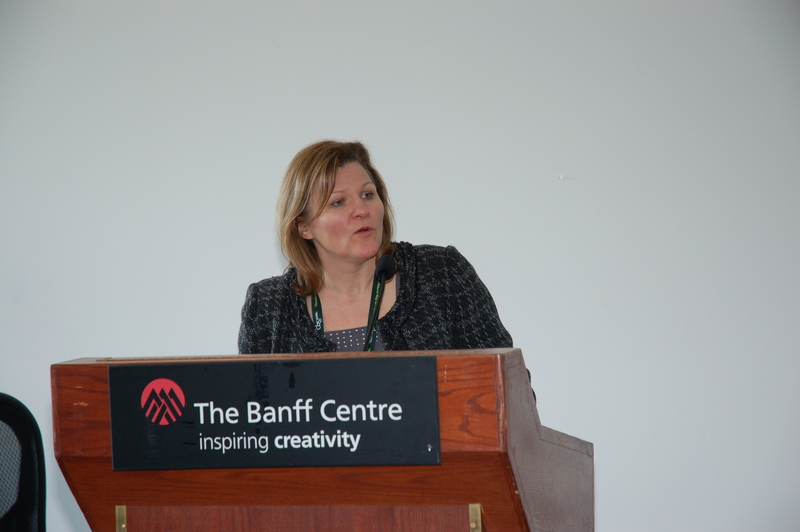 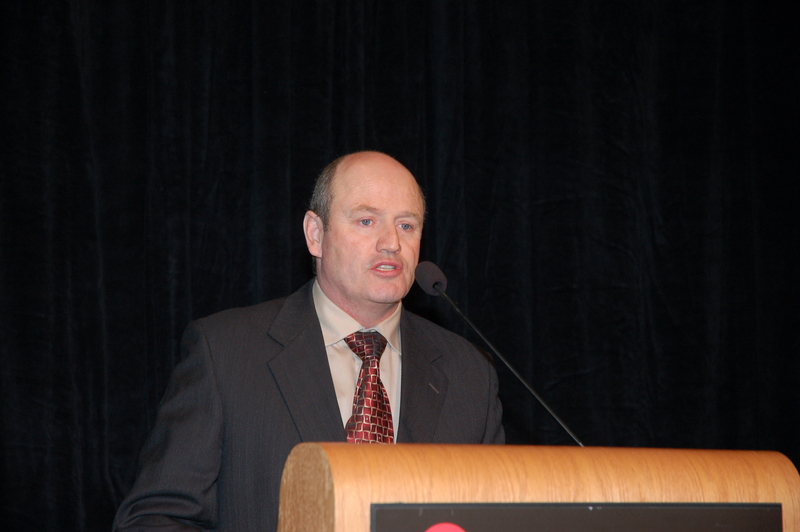 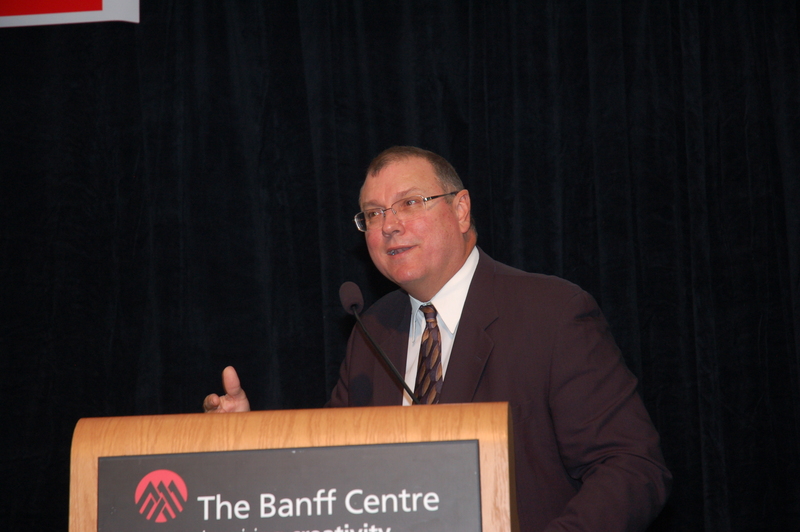 ; and Sylven Blouin, of Agri-Marche Inc.
Photo: Donald Lee, The Banff Centre.